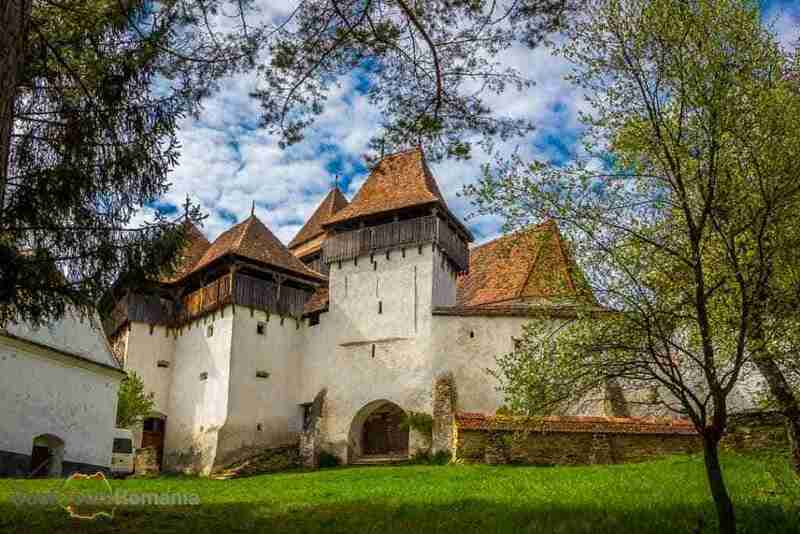 This best of Transylvania tour is created for the curious traveler, interested in exploring this fascinating region of Romania from its myths and legends to the impressive mountain scenery. In five days you will discover Romanian castles, wonder the streets of the largest medieval cities in Romania and impressive UNESCO World Heritage Sites. You will get a glimpse into the traditional Romanian craftsmanship and marvel at natural wonders on the best road in the world. find about the authentic Romanian medieval and modern architecture. 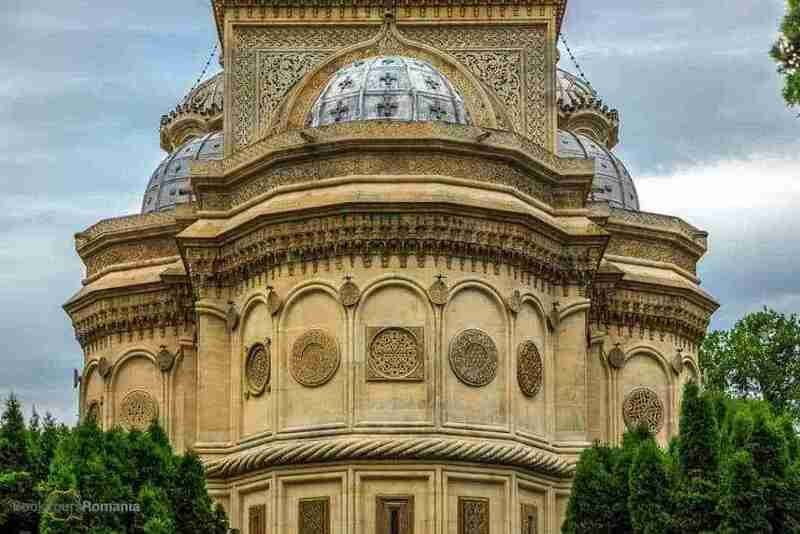 In the morning your guide will pick you up from your hotel and you’ll head to a panoramic tour of Bucharest. You will discover the cities secrets and most popular landmarks. Once the tour is finished, you will depart north to Sinaia, one of the famous Carpathian Mountains resorts. Here, at the foothills of the mountains, you will get the chance to visit the royal residence of King Charles I of Romania, Peleș Castle. 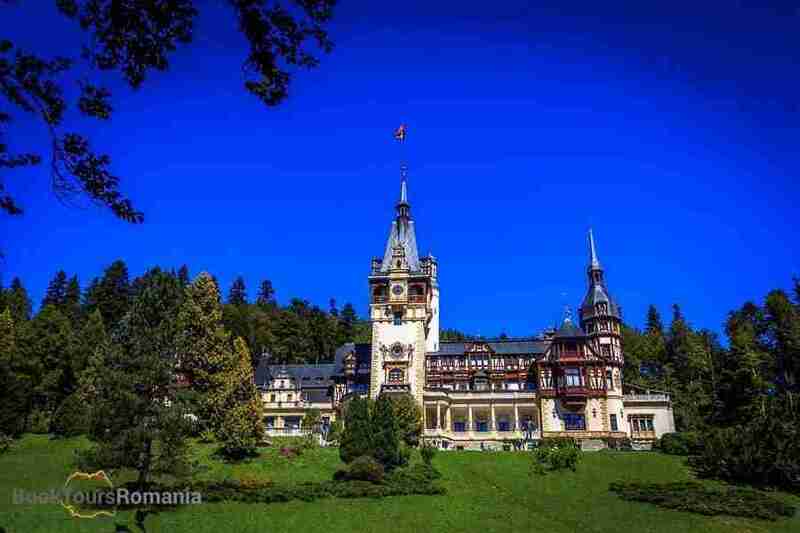 Built in 1883, Peleș Castle is a masterpiece of German Renaissance architecture and one of the most beautiful castles in Romania. With your appetite just opened for castles, the tour will continue with a scenic drive through the mountains, along the famous Prahova Valley. 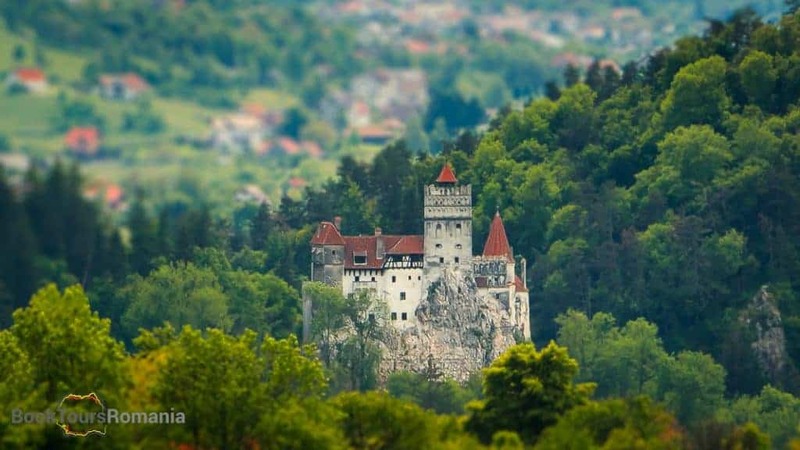 Next stop is Bran village, notorious for Bran Castle, also known as the Dracula Castle. While attending a guided tour of the castle, you will find more about its history and the real story behind Dracula’s myth. The visit will leave you hungry for more and, probably hungry for food also. 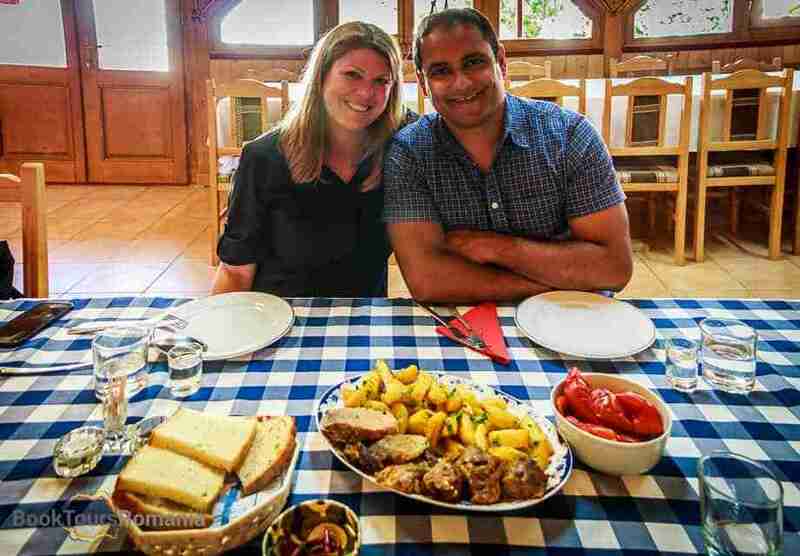 You can have lunch near the castle and a typical Transylvanian cheese tasting. 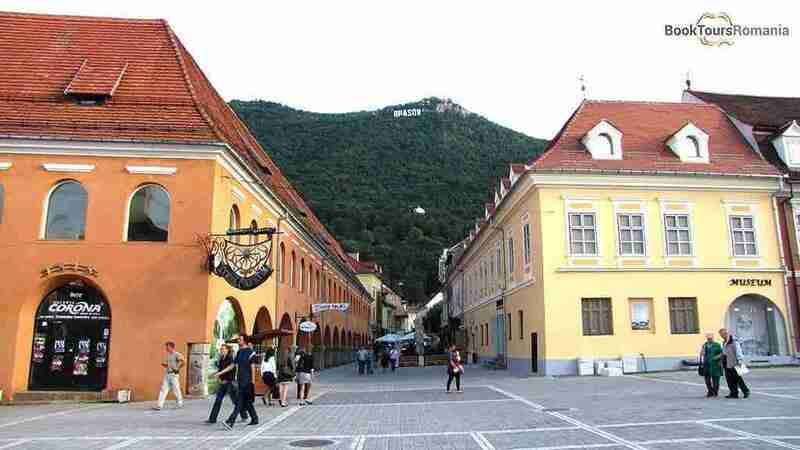 Since now you were promised the best of Transylvania, the tour continues to Brașov. 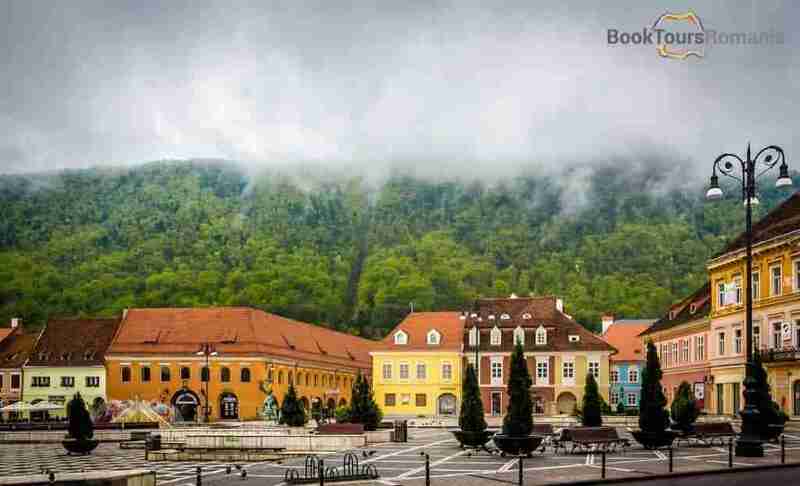 From narrow streets guarded by beautifully preserved buildings to the foothills of the city’s mountain, Tâmpa, we guarantee that you’ll fell in love with Brașov. You will be accommodated in a 3*** or superior central hotel with breakfast included. 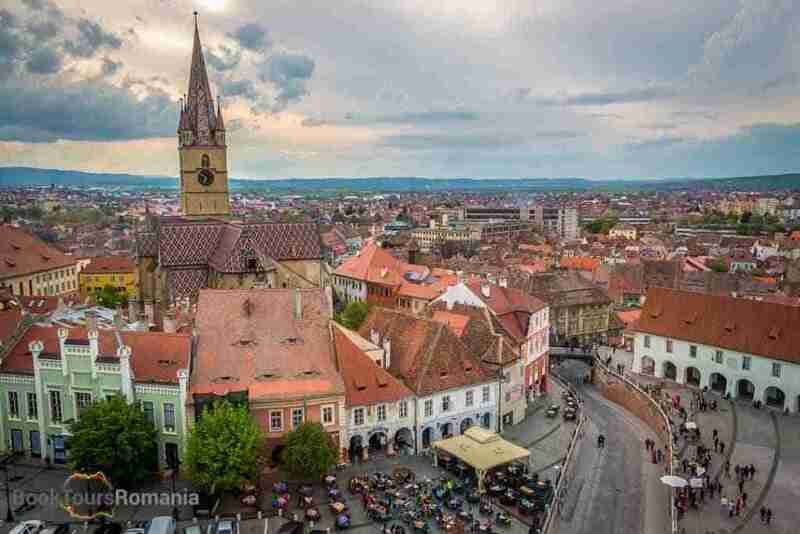 Being Transylvania’s largest medieval city and an example of a typical old city from the area, you’ll discover Brașov during a detailed walking tour of the old city. Thus, you’ll explore the famous landmarks such as the Black Church, the largest Gothic church between Istanbul and Vienna, the Council Square, Rope Street, one of the narrowest streets in the world, Catherine’s Gate, the only original city gate to have survived from medieval times, the Black Tower, the White Tower and the First School in Romanian language. The tour will continue north for Sighișoara, the only currently inhabited medieval citadel in Romania. On the way, the tour will stop to visit Viscri Village, one of the many Saxon Villages with a fortified church within Transylvania. Viscri is well known for its highly fortified church, originally built around 1100 AD. It was designated in 1993 as a World Heritage Site by UNESCO. The tour will continue to Sighișoara. Like most of the cities of Transylvania, Sighișoara is also a city built by the Saxon colonists. It is listed in the UNESCO World Heritage since 1999. Here, during a guided walking tour, you will visit the Citadel’s Square, the Clock Tower, the Scholars’ Stairs and you will also see, probably the most famous house from Sighișoara, Dracula’s birth house. Sighișoara is the place where, in 1431, Vlad the Impaler was born. The evening will be at your leisure. Accommodation in the center of the citadel in a 3*** hotel with breakfast included. After breakfast, you’ll head towards Sibiu with two stops on the way to discover authentic Transylvanian villages. First stop is in Biertan, one of the most important Saxon villages with a fortified church within Transylvania. Biertan is on the list of UNESCO World Heritage Sites since 1993. Here, you will take a guided tour of the church and admire the surroundings. 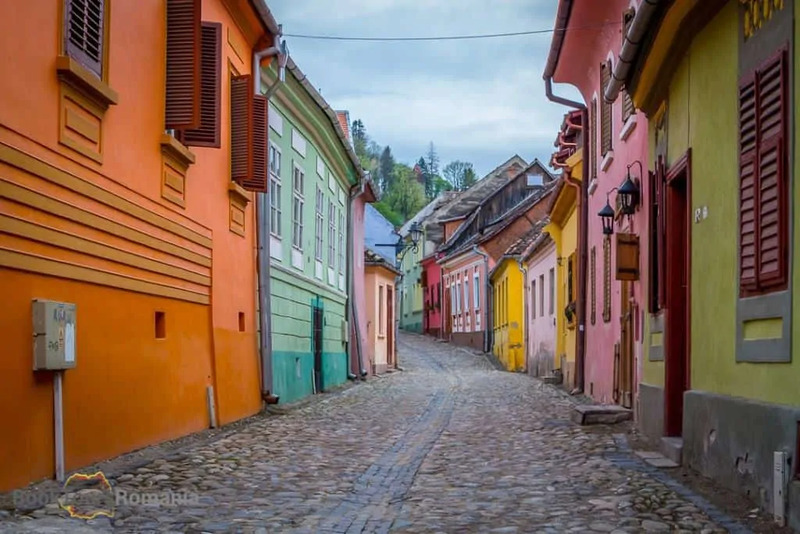 The journey continues through traditional villages in “Marginimea Sibiului” (en: the surroundings of Sibiu), a European Destination of Excellence and an international culinary destination. You’ll stop in Sibiel where you will enjoy a traditional home-hosted lunch followed by a visit to the largest Icons Painted on Glass Museum. Next stop, Sibiu, a gorgeous medieval city with spectacular architecture. 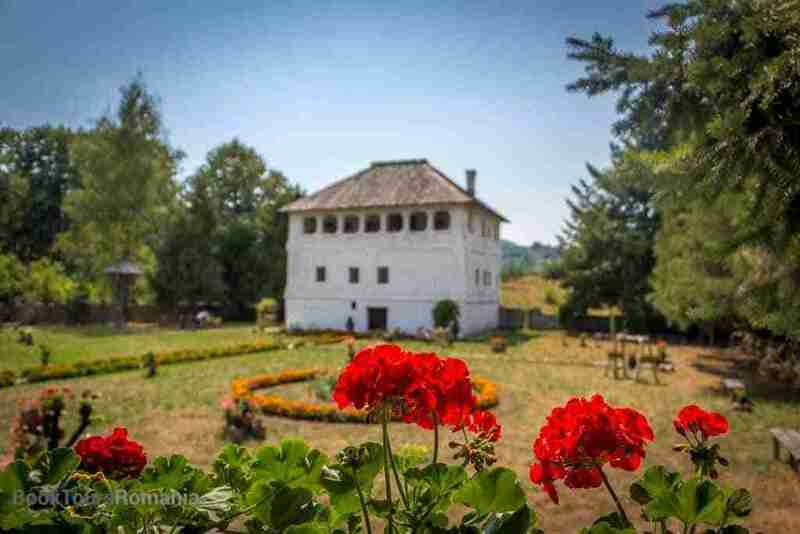 During a walking tour of the old town, the guide will present you the fortification walls and towers, the Big Square, the Little Square, Brukenthal Museum – the oldest museum in Romania, the Liars Bridge, the Evangelical Church and the Orthodox Church – inspired by Hagia Sophia from Istanbul. You will be accommodated in a 3*** or superior central hotel or superior with breakfast included. Leaving Sibiu behind you’ll set on an adventure on the best road trip in the world, the Transfagarasan. Prepare for a magnificent mountain scenery and keep your camera close to capture the true beauty of the Romanian Carpathian Mountains. 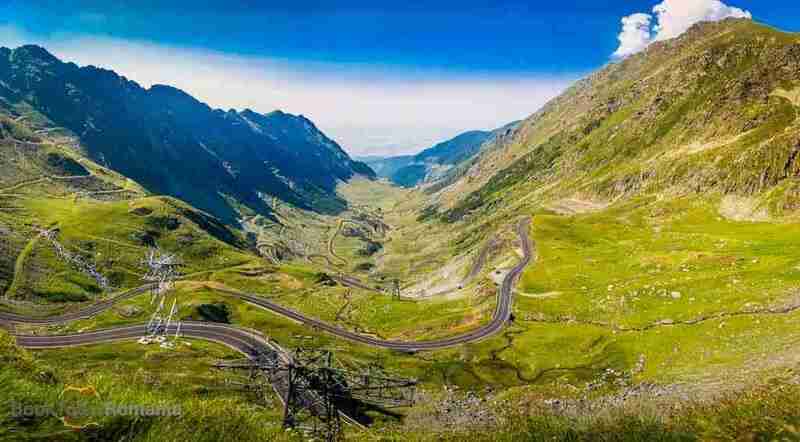 The Transfagarasan, a high alpine road, winds through Făgăraș Mountains, with the highest summit in Romania, offering incredible views and passing many tourist attractions and natural wonders. From glacier lakes to high waterfalls and mountain cabins, the whole drive will have you on the edge of your seat. The next landmark in the itinerary is Curtea de Argeș, one of the oldest towns in Romania and capital of Wallachia. This town is famous for Curtea de Argeș Monastery and its Cathedral, the burial place of the Romanian Royal family. After such a scenic drive you will arrive in the city of Horezu, famous for ceramics and pottery. The craftsmanship of Horezu ceramics is an intangible heritage by UNESCO. 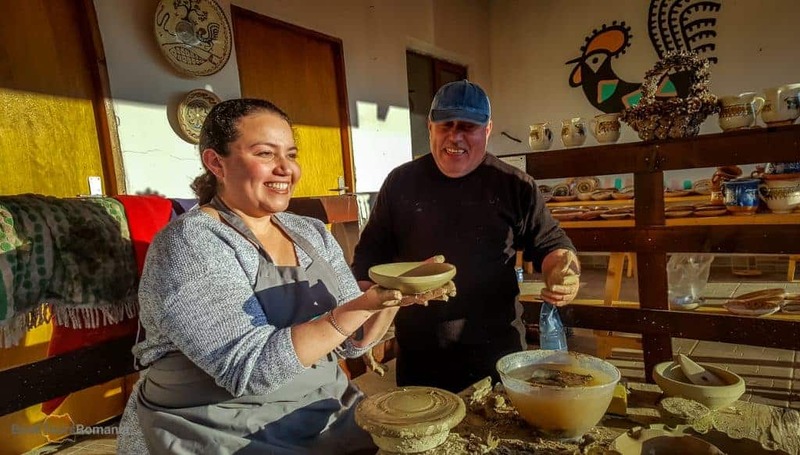 Here you’ll dive right into this authentic Romanian artisan craft in a dedicated workshop. You will be accommodated in Horezu at a local guesthouse or a boutique hotel with breakfast included. The last day of the trip will start with exploring the best examples of medieval southern Romanian civil buildings, Cule or Kule. Most of them were used hundreds of years ago by the Boyars of Wallachia. No visit would be complete without a tour of Horezu Monastery, a Unesco World Heritage site since 1993. The construction is famous for having an astonishing icon wall in front of the altar. You will reach Bucharest in the evening where your guide will drop you off at your hotel. Now you can continue your Romanian vacation or head back home knowing that you experienced the best of Transylvania. *Transfagarasan road closes between October – June. Therefore, during this period the tour continues on Olt Valley Gorge, with spectacular mountain view on the banks of Olt river. Photo & video fees at the visited sites.